Join the East Van Gogos to hear the wonderful jazz stylings of singer Helen Hansen in an intimate and elegant living room setting. Hear Helen accompanied by one of Vancouver’s busiest and most gifted musicians, Michael Creber, on piano. Light refreshments provided. Treat yourself and a friend! Tickets $30 on Brown Paper Tickets. Contact eastvangogos@gmail.com. Proceeds from this special concert go to the Grandmothers to Grandmothers Campaign. 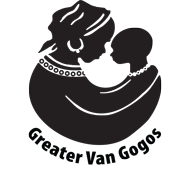 These funds will help African grandmothers to be part of psycho-social counselling, income-generating activities and HIV-prevention programmes, and to become expert leaders in advocating for their human and civil rights.